Treat Yourself this Weekend Yeah Baby! Vegetable architecture! Vegetables have come a long way, baby. No longer a lowly side dish, they have leaped, raw and roasted, into the salad bowl and are now firmly centre stage on the dinner plate. This year it’s all about vegetable architecture, as they’re twisted into different shapes and sizes (partly due to the popularity of low-carb diets and 5:2, and the must-have gadget, the spiraliser). For the health-conscious, vegetables are fast replacing pasta and rice, as “spaghetti” is coiled out of courgettes (courgetti), cucumber and carrots, and cauliflower is blitzed into “rice” or “cous cous”. Celeriac and other roots can be cut into thin sheets, roasted and used to great effect in place of lasagne sheets or cannelloni tubes. 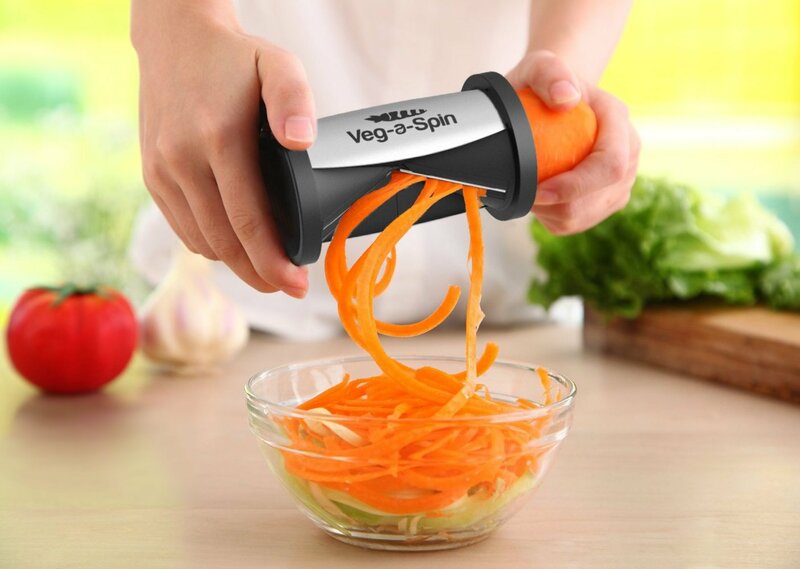 If you’re gluten-free and fed up of bad pasta, want to lighten your carb load or are looking for an attractive way to get your kids to eat their veggies, this gadget ticks the box. or Click here and Get Spiralized Right Now! Glynn Purnell recreates Michelin-style recipes for the home cook with affordable ingredients and accessible methods. Stunning recipes and easy-to-follow methods. Dishes to cook for your family and friends. Ben Tish excels in creating stunning grilled, barbecued, smoked, charred and slow-roasted dishes that enhance the flavour of meat, fish and vegetables. Now you can make fantastic food on a barbecue just like Ember Yard. Debut book from multi-award-winning chef Stephen Terry is a loving journey through the seasons, in which he provides inspiration for home cooks and professional chefs alike.